Yeo Chi receives the SMS text message from driver Yang that wrote he committed a big mistake and feels very sorry. 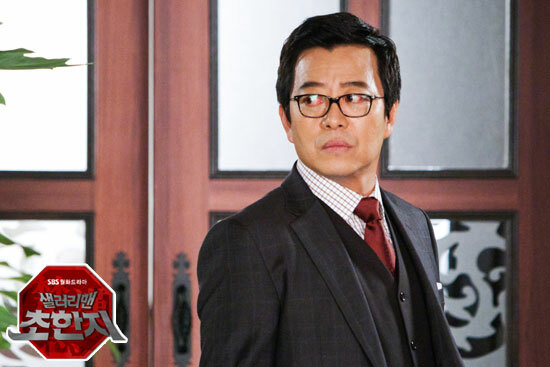 Yeo Chi shows Beom Jeung the text message, and asks him to find out the hidden truth. Beom Jeung gets angry at the unexpected action of Yang. In order to fill out the embezzled fund, Mo Ga Bi entrusts the account book to Hang Woo, on the other hand, in order to eradicate the whispering among employees, Mo Ga Bi who fears for her life instructs to install secret hidden camera throughout the company. Yoo Bang and Jang Ryang who know the vanity of Mo Ga Bi constantly seduce her to buy luxury items, therefore Mo Ga Bi embezzles the fund of the company. Yeo Chi becomes aware that Yoo Bang plans to let Mo Ga Bi falls into the trap, she secretly sneaks into the room of Beom Jeung to find the double-filing account book to help Yoo Bang. Mo Ga Bi discovers her and goes to catch her. Thanks to the help of Woo Hee, Yeo Chi escapes from a crisis. Bensung Industry is finally acquired by Cheonha Group. Hang Woo proposes to Woo Hee, although Woo Hee said unwilling, but she is very happy inside her heart. Mo Ga Bi heard about the proposal of Hang Woo to Woo Hee and is not happy, she takes the chance to ridicule Woo Hee.